In Dracula, a vampire must bring boxes of his or her native soil from where they were born to be buried in to protect them from the sun during the day. He would certainly be lugging it around a lot, if he went all of the places the vampire myth has traveled. Here are a few films to checkout this Halloween to see how vampires have translated across the world. I had been hearing a lot of buzz online about A Girl Walks Home Alone At Night from fans of horror as being one of the most original and interesting vampire movies in years. Technically this is an American film, however, it is set in a spooky Iranian ghost town called Bad City and the film is in Farsi with English subtitles. A sweet love story emerges between a young Iranian man, who is overwhelmed by taking care of his drug addicted father, and a mysterious young woman who glides about town in something that resembles at times a chador and other’s Dracula’s cape. The black and white film is visually stunning. 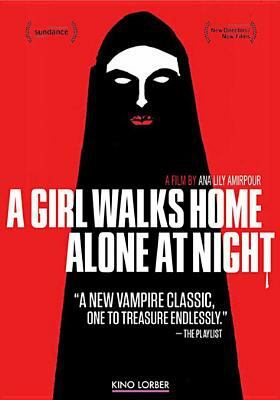 A Girl Walks Home Alone at Night is available from several BCCLS libraries and online from Hoopla. I’m interested to check out other things by writer/director Ana Lily Amirpour in the future. 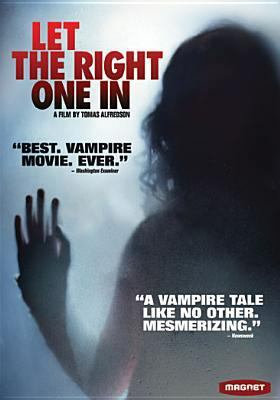 Let the Right One In is a Swedish vampire film that centers around two children who form a strong bond over their outsider status: Oskar, a boy who is bullied at school, and Eli, who needs to drink blood to survive. Vampire children are always extra creepy. In Anne Rice’s and Stephenie Meyer’s vampire mythologies the creation of vampire children is forbidden. In Poppy Z. Brite’s world of born vampires they literally absorb the life from their mothers. Yet there is something vulnerable and touching about Eli. This is another film for those looking for something a bit more unusual than the typical Dracula retread. An English version of the film was released in 2010 with the title Let Me In and moved the setting of the film from Sweden to New Mexico. The book by John Ajvide Lindqvist that the films are based on is available from the Hoboken Public Library (the first English translation was published under the title Let Me In, subsequent editions are titled Let the Right One In). Both film versions, Let Me In and Let the Right One In, are available from the Hoboken Public Library and Hoopla. 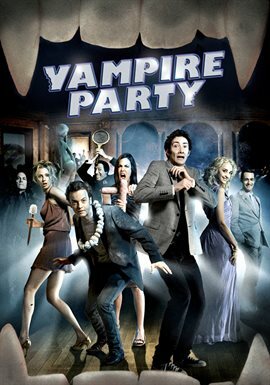 Vampire Party is a funny light French film for those looking for a bit of slap stick absurd comedy with their horror. It is available online from Hoopla. Three best friends Sam, Alice, and Prune think they are incredibly lucky when they manage to get invites to Medici Night a legendary party at a remote castle, but it turns out that they haven’t just been added to the guest list, they are on the menu for an elite group of vampires. The French title for the film is Les Dents de la Nuit, which translates to teeth of the night, which alludes not only to vampires, but also to one of the silly running gags of the film that a VIP at the event is a dentist. If you thought films like Bridesmaids and The Hangover would have been better with vampires than you should find Vampire Party a bloody good treat. Vampire Hunter D was one of the first animes (Japanese animation) I encountered. As someone that was used to animation that was either only aimed at children or comedic like The Simpsons for adult audiences, I was surprised and intrigued by the complex and dramatic story line. The 1985 film was based on a series of Manga (Japanese graphic novels). D is a half vampire/half human who fights vampires in a post-apocalyptic future. Some unique details include D’s cybernetic horse and a symbiotic hand whose wise cracks add some levity to the story. Although I’ve seen a great deal of anime since then, this remains one of my favorite with its cool blend of gothic horror with science fiction. 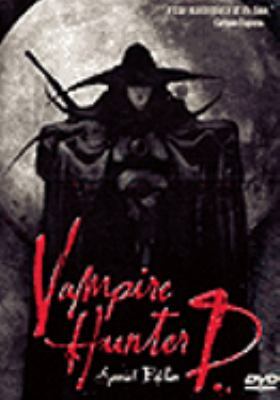 A second film Vampire Hunter D: Bloodlust was released in 2000. Check the films and manga out from BCCLS libraries.